Old Staffordshire blue roof tiles, Burlington roof slate, Welsh roofing slates, Derbyshire stone slates, gritstone ridge cappings, local and large sizes are a speciality, old ridge tiles and slates of many types in stock, also reclaimed York stone flagstones. Reclamation of valuable building and roofing resources is our business. 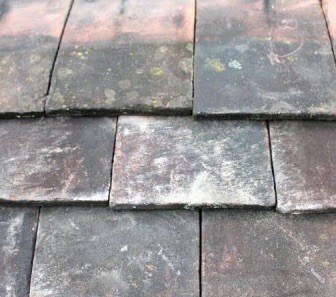 We provide quality reclaimed roofing materials for the restoration of listed buildings. Situated in the Peak National Park, we have extensive stocks of traditional roofing materials in many standard sizes suitable for repair and restoration of roofs.